How do I accept donations online? /Creating, Editing and Managing Events /How do I accept donations online? 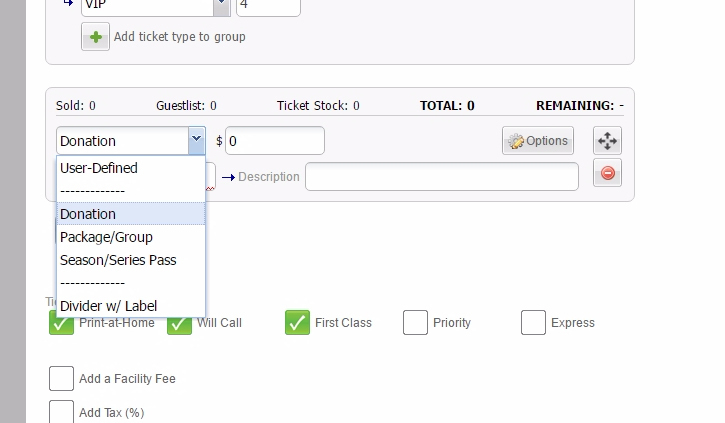 While you are creating an event or as you are editing it, you may add another ticket type that will be for donations. You will be able to set a minimum donation. NOTE: Service fees and credit card fees apply to Donations. Please set to “I will absorb the cost (Promoter)” under the donations “Options” section if you do not want your customers to pay an additional fee.